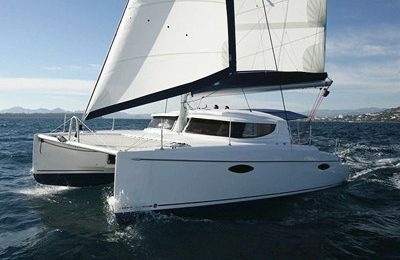 Welcome to romantic catamaran yacht charter out of Barcelona,experience the city skyline over the sea . 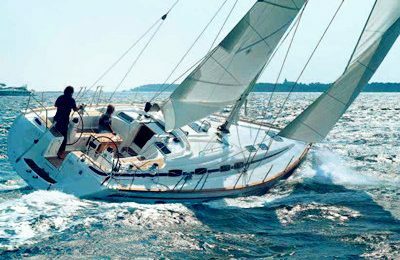 This brand new 40′ catamaran yacht is from French yacht builder Nautitech, newest generation of the line. You will have a spacious partially open dinning area in the middle of the cockpit, ideal for a cocktail party over the water. Inside the main salon, there is a gourmet kitchen and another sitting area. Relax on the huge trampoline at the front deck, and you are a few inches away from touching the Mediterranean water. View Barcelona from the sea, and, as the sun is about to set over the hill, enjoy a breathtaking view along with a glass of champagne. A gorgeous night in Barcelona is right ahead. Boarding location is located at Port Olimpic Barcelona, 08005 Barcelona, detailed instruction will be provided once your booking is submitted and confirmed. 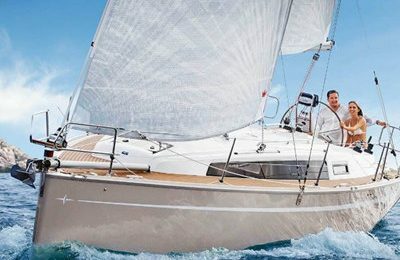 A brand new, 2017 40 feet ( 12.5 meters) Nautitech catamaran yacht. 3 bedrooms, 2 restrooms & showers.